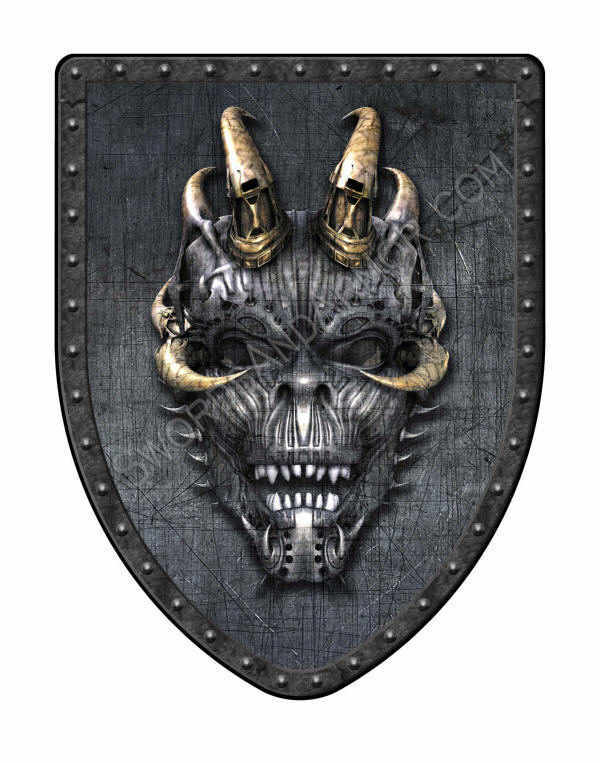 This Steampunk inspired Gothic Demon shield has a real industrial look ... Certainly not medieval but we just couldn't help ourselves. It features a mechanical monstrosity of a skull with horns on a rough , steel-gray looking background with a riveted rim graphic. Scary to say the least. 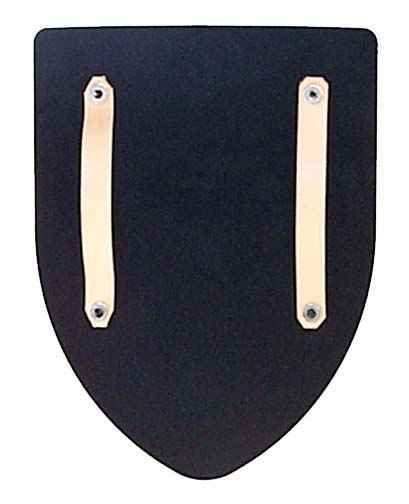 This piece can be ordered as a wall hung piece or battle ready hand-held style. Swords and Armor Specials !